Today is Easter Monday and it's also the day for the Annual White House Easter Egg Roll. This has been an annual tradition here in D.C. since President Rutherford B. Hayes began it back in 1878. The Easter Egg Roll used to take place on the lawn of the Capital building, but the lawn was getting damaged with so many people attending the event that Congress passed a law forbidding such activities. In 1878, President Hayes opened the White House lawn to the event and it has grown and grown ever since. 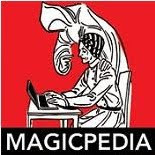 Many famous and not so famous magicians have appeared at the event. Back in the 1930s Howard Thurston appeared at the White House Easter Egg Roll and performed his famous routine with Eggs from a Hat with Two Children. 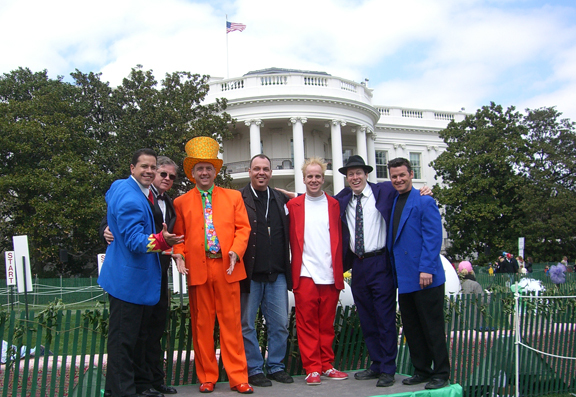 Washington D.C.'s own Al Cohen from Al's Magic Shop has performed at the White House Easter Egg Roll. So have David Williamson, Silly Billy, the entire case of the Le Grand David Spectacular Magic Company from Beverly Mass, Doug Henning, Harry Blackstone Jr., Steve Wyrick, Wayne Alan, Trixie Bond, Ralph The Great, Dean Carnegie, Dave Risley, Mac King, Ken Scott, Mark Daniel, Ray Goulet, Mike Bent (who is there right now by the way), Emanuel Shabum, The Pro Kids Show performers, Adam Ace, James Wand, and many many others from all over the WORLD! I have to admit, I'm not sure if Houdini ever appeared at the event. He certainly had been invited to the White House on numerous occasions but whether or not he ever appeared at the White House Easter Egg Roll is a mystery. Of course they don't just have magicians, they typically have famous celebrities and actors and singers in attendance. The singers, like Miley Cyrus and the Jonas Brothers perform on the main stage. In 2011 Colbie Caillat and Willow Smith were among the featured acts. The actors and other performers often read stories to the kids at various 'reading stations' throughout the grounds. Among the actors and celebrities appearing at the event in 2011 are Kelly Rippa, John Lithgow and Geena Davis. The only downer to the entire event is weather, which you can never predict. One year I sat in a Van with two friends waiting for the rain to stop and hoping we'd be able to perform. They canceled the event after an hour of constant rain and we drove home without ever having gotten wet. Other years we performed on both the White House lawn and on the Ellipse which is the area in front of the gated lawn between the White House and Constitution Avenue. I think that was the year we did 8 performances going back and forth between the two stages. That was also the year I presented Thurston's Eggs From Hat with a Boy and Girl, I'm sure I'm not the first magician since Thurston to have that idea. For several years in a row they actually put up a 'Magic Stage' for all the magic acts to perform on. 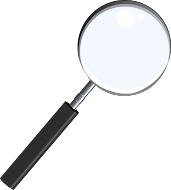 This was due to the effort of Ralph Meztler, known professionally as Ralph the Great. The Magic Stage had the benefit of being the stage closest to the White House which was nice and also closest to the actual Egg contests. The main stage was further down the lawn and though not as close, the area in front of the stage could hold thousands of people watching the shows. All in all it's usually a very fun day as long as the weather holds. My best wishes to the magical performers who are out there today! *I originally posted this in April of 2011. But wanted to repost it because the Easter Egg Roll is this Monday. The year we left because of the rain, they gave everyone a special tour through the White House, we of course found out later, lol. I've been there 4 times.